The WITTENSTEIN Galaxie Drive System with completely redesigned gearbox kinematics is set to launch into a new performance universe. High performance engineering will profit significantly from its amazing performance features, which are easily superior to those of all similar sized drive solutions. Galaxie has everything it takes to become the enabler for the next engineering generation. The Galaxie Drive System developed by WITTENSTEIN AG introduces a brand new gearbox generation. The gearbox has been fused with a newly developed high performance motor to form an ultra-compact, hollow-shaft drive system with integrated Industry 4.0 connectivity. It has a measured efficiency of more than 92% and sets new yardsticks in all technical disciplines. 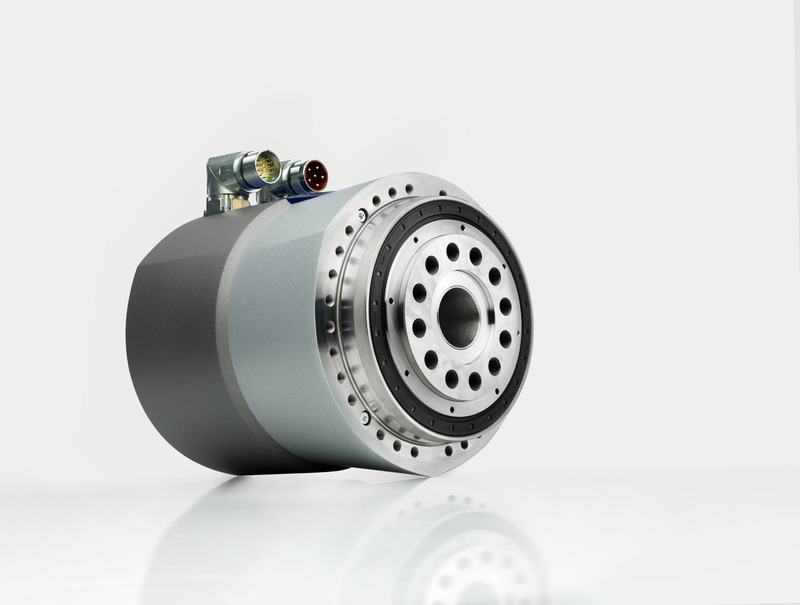 Compared to the market standard for similar sizes, the Galaxie Drive System achieves up to 170% higher maximum torque, up to three times better overload protection, between three and six times more torsional rigidity depending on the benchmark and up to 70% larger hollow shaft diameters. The revolutionary, patented gearbox kinematics of the Galaxie Drive System represent a paradigm shift with far-reaching technological consequences for developers. For the first time ever, a gearbox dispenses completely with a gear wheel – instead, each of the teeth involved in torque conversion is an independent and dynamic entity, which is supported by a needle roller bearing, grouped around a two or three-cam input polygon and guided along the teeth of a ring gear. As a result of this principle, almost all of the teeth now engage simultaneously – compared to only a few with other gear concepts such as spur gears, planetary gears, hypoid gears, Harmonic Drive principles or eccentric gearboxes with involute and cycloidal tooth geometry. The Galaxie's tooth geometry, too, is pure innovation: it corresponds to a logarithmic spiral, so that in contrast to conventional technologies with linear gear tooth contact, power is transmitted by surface contact. FEM benchmark calculations with a helical-toothed planetary gearbox show that the new Galaxie kinematics give a tooth contact surface which is 6.5 times larger for the same hollow shaft diameter. This is a crucial aspect that is central to the 170% improvement in torque conversion and the threefold increase in overload protection. Another defining feature of the Galaxie kinematics is that a hydrodynamic lubrication film is built up by the multiple teeth in surface contact – even at low speeds and up to very high torque loads. Mechanical wear and abrasion are reduced to a minimum and once the torsional backlash has been set, it remains absolutely constant throughout the lifetime of the equipment. Due to Galaxie's novel design principle, there is only a tiny gap between the tooth carrier and the internal ring gear. This clearance is so small that there is practically no bending length. What's more, the teeth in contact are automatically aligned because they are guided cylindrically in the tooth carrier, leading to optimal engagement with the internal gear teeth – and an optimal transverse load distribution. This results in torsional backlash of one to two arcminutes – and hence up to 580% more torsional rigidity than the best gearbox of comparable design currently available in the market. The very high stiffness at the zero crossing is retained, even with alternating loads – without any reduction in the maximum transmissible torques! The outcome: extreme compactness and very high dynamic precision with alternating loads and a hollow shaft. Owing to the design principle, the Galaxie Drive System allows very large hollow shaft diameters. It is thus extremely compact even when high torques are specified. Comparable hollow-shaft gearboxes with a gear wheel need to be at least two sizes bigger to output the same power – and even then they are still unable to match the Galaxie Drive System's enormous precision. * Compared to the market standard for similar sizes. What WITTENSTEIN was looking for was everything at once and much, much better: the new Galaxie gearbox generation – which has yet to feature in any textbook – and the Galaxie Drive System it inspired are light years ahead of all rival gear principles today, regardless of the drive engineering discipline. The first successful applications have already been realized. Over the last two years lead customers in various industries have verified the Galaxie Drive System's advantages in production use. · Lathes, for example, profit from the Galaxie Drive System's unprecedented torsional stiffness and absolutely backlash-free gearbox kinematics. Higher metal removal rates, more flexible processes, an extended machine tool life and very high precision are assured along with significantly improved machining quality. · In spline rolling machines the Galaxie Drive System facilitates higher machining speeds, enhanced process quality for critical parts and up to 40% better productivity. · Gantry milling machines and machining centres leverage the high stiffness and the compact, power dense design of the Galaxie Drive System to produce narrow and more complex 3D geometries. Although the materials are frequently very difficult to mill, Galaxie meets even the highest precision and quality requirements reliably. · The perfect combination of size, weight and robustness: three years ago in 2012, the innovative Galaxie drive technology also proved to be extremely useful in space travel. A total of four Galaxie Drive Systems were on board the SHEFEX II sounding rocket launched by the German Aerospace Center (DLR). Their mission in this exciting development project for a future space transporter was to drive the craft in such a way that active position control and vibration damping would be possible on its re-entry into the Earth's atmosphere. These and other traditional markets and applications for the Galaxie Drive System will undoubtedly be joined by many new ones, where a solution offering such superior performance in all technical disciplines has so far been lacking. The Galaxie Drive System fuses a brand new gearbox generation, in which each tooth is an independent and dynamic entity, with a newly developed high performance motor to form an ultra-compact hollow-shaft drive system with integrated Industry 4.0 connectivity.